The Newburgh Free Academy Goldbacks defeated Middletown High School 94-76 for a OCIAA Division I win on Friday, February 19, 2010 in Newburgh, NY. 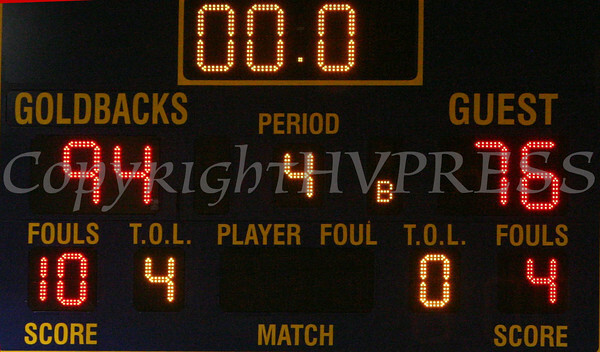 The scoreboard shows Newburgh Free Academy Goldbacks defeated Middletown 94-76 for a OCIAA Division I win on Friday, February 19, 2010 in Newburgh, NY. Hudson Valley Press/CHUCK STEWART, JR.